Matt Harvey felt so sick when he woke up Sunday, he almost was scratched from his start against the Marlins. 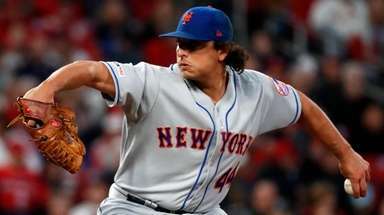 Fortunately for the Mets, he was able to go six innings-plus and earn his third win in the Mets' 7-6 victory. 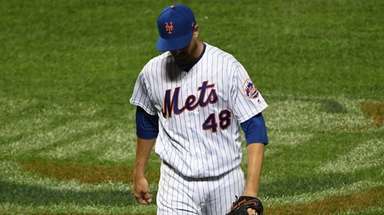 "It was a battle," said Harvey, who allowed four runs and eight hits with no walks and seven strikeouts. The Mets gave him a nice cushion with a seven-run fourth inning. "I think the offense did all the talking," said Harvey, who said he was having trouble swallowing and sleeping because of a flu-like illness. Manager Terry Collins said he had no real backup plan if Harvey hadn't started. "It didn't happen,'' he said, "so I don't have an answer." 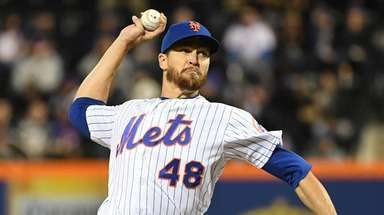 Before Jeurys Familia picked up his sixth save with a scoreless ninth, Collins said the righthander will keep his closer's role even when Bobby Parnell is activated from his rehab assignment. 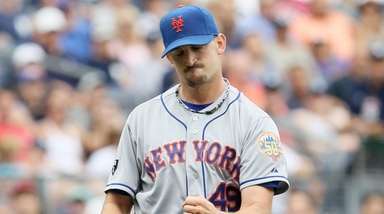 "Jeurys Familia will still close," Collins said. "It's been a year since Bobby has been out there. If Bobby, when he shows up, shows us the same stuff that we saw a year ago, we will try to get him back in the role he's comfortable with . . . Right now, Jeurys Familia has pitched well enough." Familia got Giancarlo Stanton to bounce to third with the tying run on second to end the game. David Wright (hamstring) "is coming along great," Collins said. Wright told MLB.com that he is "bored out of my mind" not playing. But that doesn't mean he hasn't been part of things. 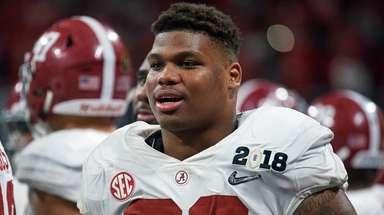 "He's been great," Collins said. "He's been on the bench, in the video room, he's talking to the guys, he's rooting for them, he's high-fiving them. He's been outstanding."